With its energetic cities, cultural treasures and outrageous natural beauty, South America is an unbeatable destination that’s superbly suited to outdoor adventuring. From the formidable spine of the Andes and the rugged peaks of Patagonia to lush river deltas, vast grassy plains, arid coastal deserts, pristine beaches, Wild West canyons and thundering waterfalls—it’s hard to imagine a place with a wider variety of dramatic environments to discover. 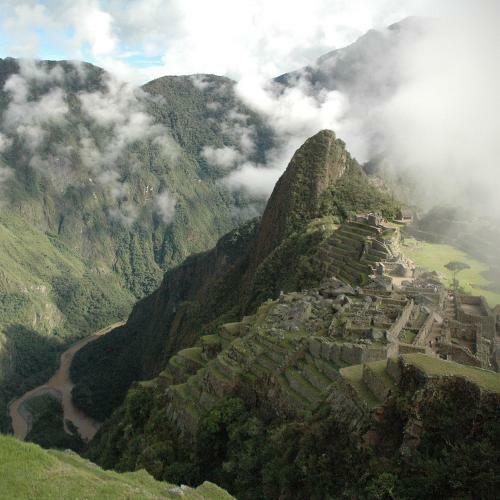 Experience the grand temples and terraces of Machu Picchu, hike among the majestic wilderness of Patagonia and explore the twisting tributaries of the Amazon River basin. Explore the ancient ruins of powerful civilisations, encounter exotic wildlife and engage with local cultures by meeting remote indigenous communities. Visit the thundering Iguazu Falls, see the surreal geysers and salt flats of the Atacama Desert, or take an unforgettable safari through the Pantanal, the world's largest tropical wetland. Discover the famous wildlife of the Galapagos Islands, or visit mysterious Easter Island, one of Earth’s most isolated and intriguing places. Soak up incredible culture and nightlife in Buenos Aires, Rio, Bogotá and Santiago; and tour the cobblestoned streets and handsome colonial architecture of Cusco, Quito, Cartagena and Salvador. Join us as we explore the highlights and hidden gems of this extraordinary continent! Responsible Travel practice is at the heart of every program that we offer in South America. When you book one of our adventures you’re supporting true sustainability in the protection of local communities, natural environments and wildlife. We proudly pioneered the first commercial Inca Rivers Trek in Peru (2004), showcasing a remote trail to the North of Machu Picchu; The Great Patagonia Traverse (2012), through untouched National Parks in Chile and Argentina; and the Venezuela Lost World trek (2001), amongst the great Tepui Mountains and spectacular Angel Falls. We do things a little differently. We have something for everyone, from gentle walks to challenging climbs and vehicle based journeys as well as voyages. No matter what, all will get you off the tourist track to revel in natural environments, interact with remote communities and enjoy the camaraderie of your small group of fellow travellers. We can also customise your very own ‘ultimate’ itinerary. Quality services at the best prices make our adventures great value for money. Having essential items like meals, sightseeing and entry fees included in the trip cost allows you to better budget for your big adventure, and eliminates the risk of having to carry large sums of money around with you on your journey. Our guides in the field are the real keys to our success, making your experiences exceptional. From Simon Yates, author of ‘Touching the Void’, to Javier Bello, one of the most experienced guides in the Andes—our team of expert guides mean the difference between a good and an excellent adventure. It’s their knowledge and passion for the continent’s landscapes and best held secret places, restaurants and vantage points that will take your travels to a whole new level. 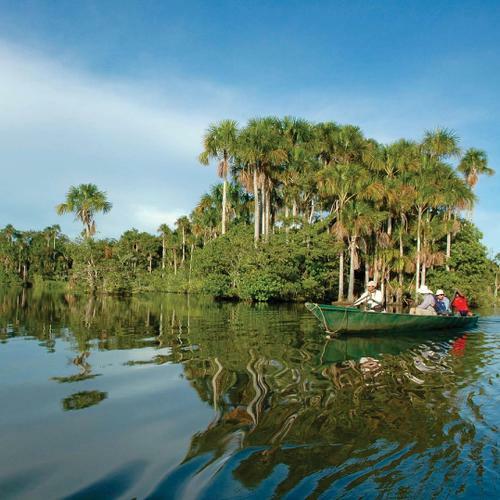 South America is home to one of the world's most important natural environments - the Amazon Basin, often referred to as the lungs of the world. The exotic continent boasts a multitude of diverse natural wonders including the Andes Mountains, Galapagos Islands, Torres Del Paine and the Atacama Desert in addition to its disctinct cultural diversity, including indigneous Inca people, European influenced cultures and the 'gauchos' of the Pampas, making it no secret that South America has much to protect. In order to minimise our impact on the natural environment, we practice the '7 Principals of Leave No Trace' and support local economies by employing guides and staff from local communities. Our Animal Welfare Code of Conduct, Child Welfare Code of Conduct and Porter Welfare Policy ensure the well-being of animals and children we encounter on our adventures, as well as the mountain porters we employ on our treks. In Patagonia and the Amazon we use a variety of quality lodges. They are not luxury lodges but what they do offer is very comfortable accommodation which is well maintained and with many facilities. Generally, the trip notes that we have prepared for each trip will give you details of the types of properties we use on any one itinerary. On some itineraries in Patagonia we use an eco camp located within the national park. A tribute to the Kaweskar people, the sustainable camp provides a ‘back to nature’ experience but spares nothing when it comes to comfort. The geodesic domes are perfectly suited to the Patagonian climate featuring organic elements, wooden floors and windows in the ceiling to stargaze at night. Meals are shared in one of the three interconnected community domes. On some occasions we use mountain huts, also referred to as refugios. You can expect these to be basic but comfortable and from time to time the sleeping arrangements are dormitory style – in keeping with the true mountain spirit! 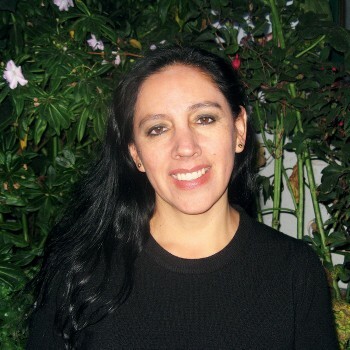 Angel brings a Latin American connection – living and working in Argentina. 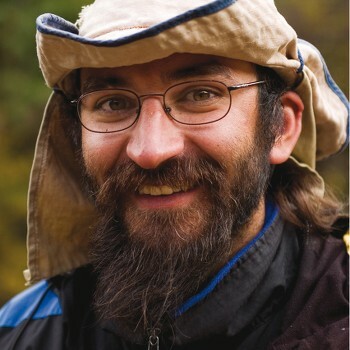 He is an accomplished mountaineer with some 20 years of experience. 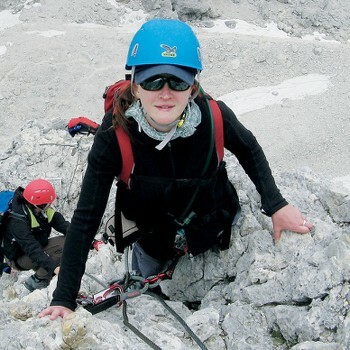 Angel has led several groups to the summit of Mt Everest. In addition to his extensive climbing background Angel has previously led several of our Ama Dablam and Aconcagua Expeditions. Angel is well known for his infectious sense of humour and excellent cooking skills. 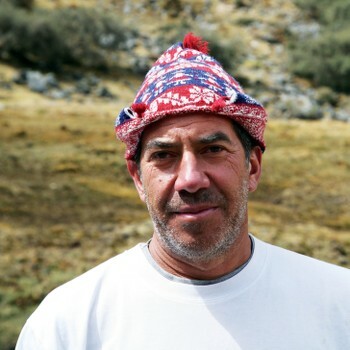 Javier is one of the most experienced guides in the Andes having worked as a professional trek and tour guide for more than 30 years. 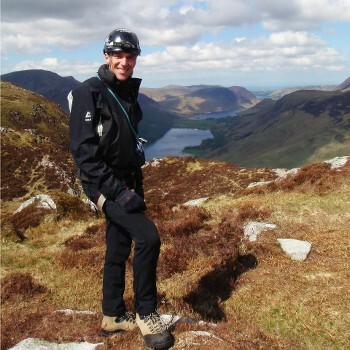 He specialises in our longer high altitude treks of which his favourite is the superb Huayhuash Circuit, Peru. His knowledge of the mountain trails is simply astounding. That, combined with his ability to recount the cultural and natural history of Peru, makes him the perfect guide for Peru adventures. 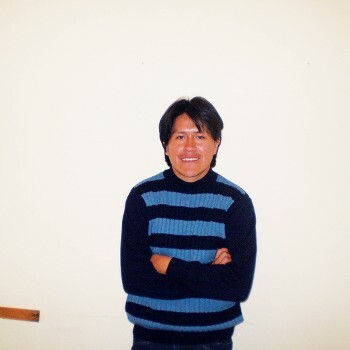 Rene is a graduate of Cusco University and started guiding our groups in Peru 15 years ago. He is trilingual in English, Spanish and German. 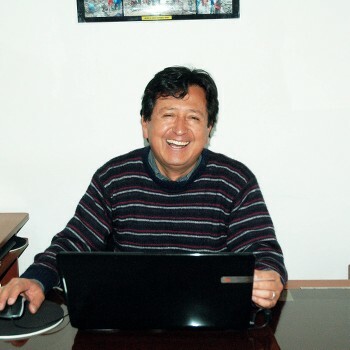 Rene is also an expert in traditional Andean medicines and has given specialist classes on the subject in the USA. Rene's deep interest in Andean cultural and musical traditions makes him a truly fascinating guide, bringing a deeper understanding of the region for his travellers. His favourite trek is the high Inca Trail. 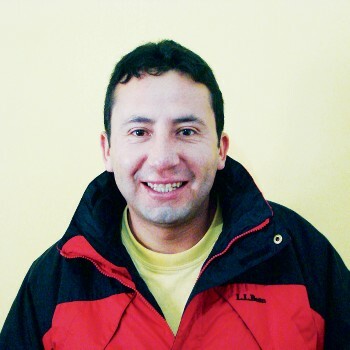 Josmar, known by friends and travellers as 'Chema', has endless energy and great humour, providing his groups with an unforgettable Andes experience. 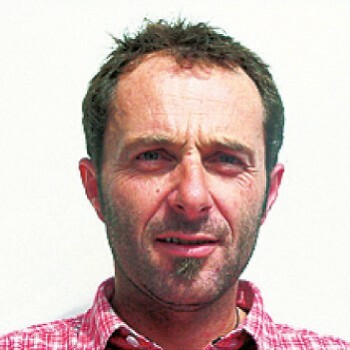 His enthusiasm and knowledge of the environment is unrivalled, built over 15 years' guiding. 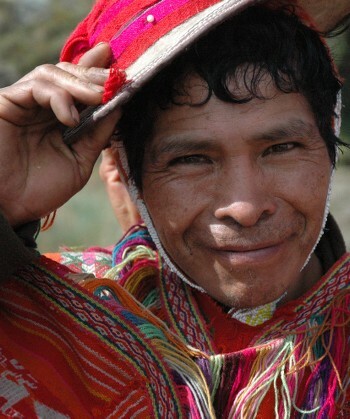 He is trilingual in English, Spanish and Quechua. 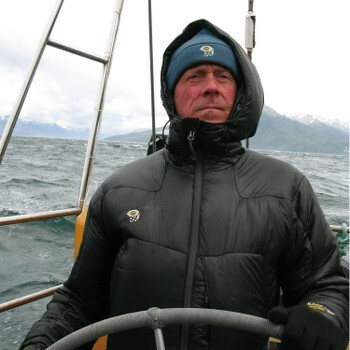 He loves any trek that's off the beaten track, of which World Expeditions has many. 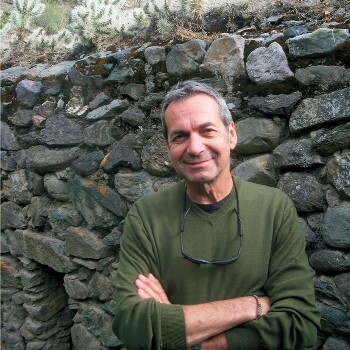 Victor has been one of the managers and is the driving force of the World Expeditions office in Cusco for more than 25 years and has a superb knowledge of the complexities of adventure travel. 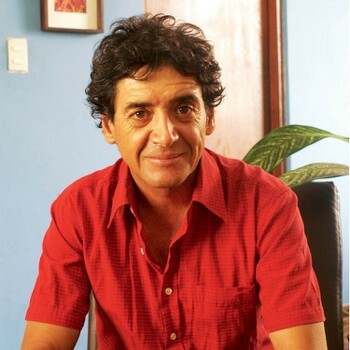 He really was one of the pioneers in Cusco and remains a well respected member of the tourism community. There is no problem that Victor cannot solve having met thousands of our clients during their time in the highlands of Peru. Jose has been leading tours and treks for more than 20 years and if he hadn't become a guide would have ended up a botanist or biologist in the Amazon. 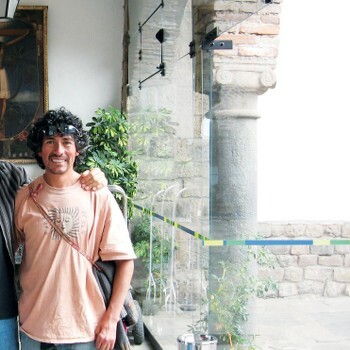 We're happy he chose the former as he is now recognised as one of Cusco's best guides with great humour and endless knowledge. His favourite trips involve both trekking and expeditions into the rainforest. Ernestina has been working as a professional guide for five years but everyone who meets her thinks she must have been born one! 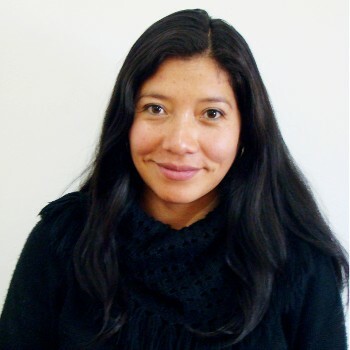 Born in Cusco and brought up speaking 'Quechua' - the language of the Incas – Tina has a profound knowledge and connection with the Andes and her personality makes her a real favourite not just with the clients but will all the trekking and touring staff. 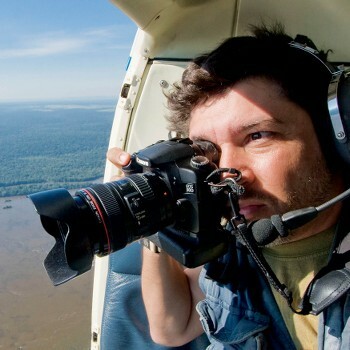 Daniel was born in Brazil and has spent the past 18 years around the Pantanal Wetlands, where he works as a nature photographer, teaches in qualification courses and leads special interest eco tours. 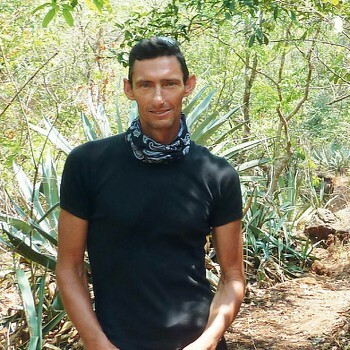 Being very patient and detail-oriented, Daniel likes to lead trips with peculiar objectives such as photographing jaguars in the wild or diving with anacondas and pink-river dolphins. 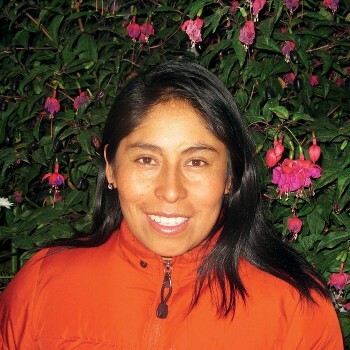 Admil studied Andean Anthropology and Archaeology before becoming a guide in 2004. He is a great companion for anyone wanting to travel through the mountains and valleys of Southern Peru with his knowledge of local customs and both modern and pre Inca history. 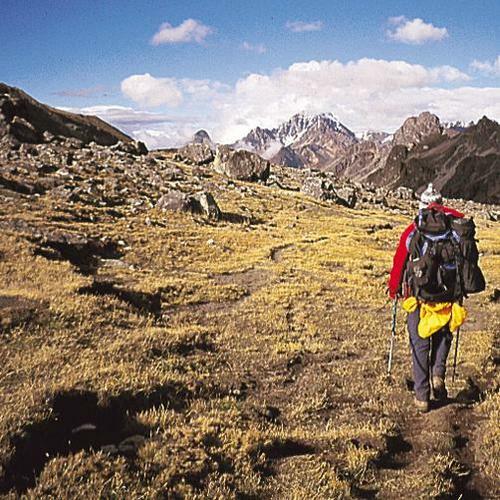 Like many guides he loves the Inca Trail despite having walked it so many times over the years! Lily is the operations manager of the World Expeditions Cusco office and has overseen all our tours and treks for more than two decades. She has real attention to detail and makes sure that every little detail is carefully organised by our large team of professional guides and camp-staff in the Andes. Come rain or shine Lily will have it covered! Joana is one of our youngest guides and is a university graduate of Archaeology and Andean Mythology. She was born in the highlands of Cusco and speaks Quechua, English, Spanish and Portuguese. Joana is happiest leading our longer treks, though still feels that the classic high Inca Trail is the most beautiful Andes short trek.